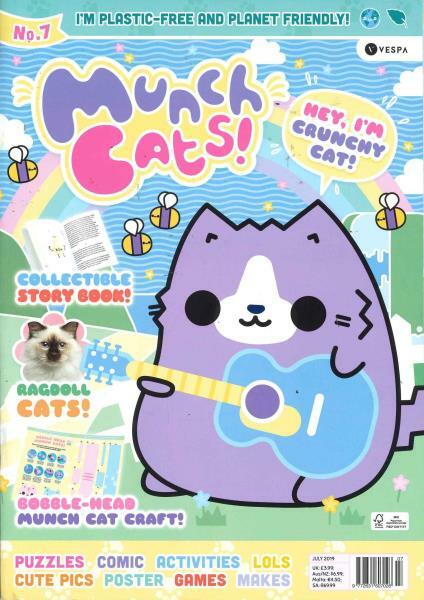 Munch Cats is a monthly magazine aimed at children aged between 6 and 10. Buy a single copy or subscription to Munch Cats magazine. Munch Cats come from a place called Munch Land, following Pudding Cat, Noodle Cat, Bubble Cat and so many others in their fun adventures. Each issue is jampacked with papercrafts and stickers, pull out storybooks, colouring, puzzles and cover-mounted gifts.